I used to tell Margaret I hated her because she was pretty. That kind of hate makes people listen. We wrote poetry on ailing computers that would turn our words to webdings, refuse to change them back. I loved how she barely loved anyone. Margaret had a mole beside her nose. We always referred to it as beauty, a small strawberry, a she. Surgically removed winter, our senior year. Benign. She told me that after the procedure, when the plastic surgeon rubbed Vaseline on her frozen face, somehow she thought of me. Margaret like-liked our poetry teacher who wrote a song about how empty we would one day be. The chorus: his wife and son folding socks, packing. The bridge: seeing them years later in the produce aisle, the son not letting go of a bag of lemons to shake his hand. That same teacher sat on an exercise ball and told us when his son was two weeks old, he almost died in his arms and until we experience this, how can we become writers. I still remember Margaret, with a comically bandaged face, in front of the girl’s room mirror, cupping water and the Pill to her mouth, saying loss is loss, isn’t that good enough. 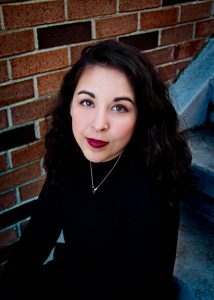 Mallory Tater is the publisher of the Rahila’s Ghost Press (Vancouver’s newest poetry chapbook press) and the creator of Glamato: Stiff Drinks and Strong Women, an interview series with up-and-coming female writers. Her latest contribution to the writing world is her debut poetry collection This Will Be Good (Book*hug, 2018). The book tells the story of how a young woman’s life is transformed by an eating disorder. Rob Taylor: The poems in This Will Be Good speak about, among other people, your three sisters to whom the book is dedicated (Monica, Meredith and Madeline – your parents were really into “M” names!). It feels, in that sense, like a book unequivocally about you, a “memoir in verse,” of sorts. The book’s back copy pulls that back a bit, saying the book is about “a young woman’s burgeoning femininity as it brushes up against an emerging eating disorder” [emphasis mine]. 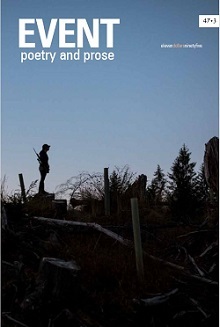 Poetry books, of course, have the ability to live productively in a space between fiction and non-fiction. Could you speak a bit about why you chose to write this book as poetry, and not another genre? Do you think your choice of poetry changed what you chose to talk about, what you didn’t, or what you learned about yourself in the process? 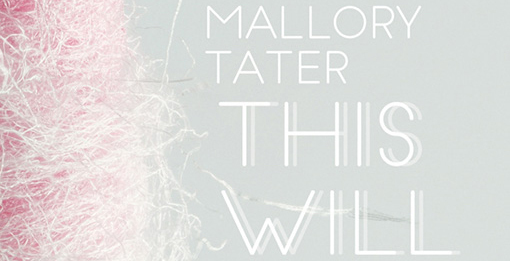 Malloory Tater: This book is based off my life but I am not the speaker in full. It is autobiographical in many ways but to write and heal, I believe that that creative distance is important and enables moments to be pulled back or pushed harder emotionally and also admits that memory brims with each individual’s unique perception. Poetry has the ability to hold a range of emotions in very dense, evocative ways. I think I wanted the sense of vignettes, as opposed to a more succinct creative non-fiction essay, to explore mental illness. Poetry also acts as a kind of scrapbook which suits the “coming of age-ness” in regards to the speaker. I think poetry enabled me to navigate the surreal detachedness experienced by the speaker and provided me with a more wandering lens as well as the ability to delve into dream and metaphor to explore anorexia. I learned through writing this book that I held onto a lot of feelings of self-doubt, especially with the few poems that tackle intimidation and childhood bullying. I can’t go back in time to give myself a hug and a good, encouraging conversation (which I wished for a lot of the time before I wrote the book.) What I could do was re-experience those feelings. It was a form of adult-young self-conversation. It may seem weird, but I know my childhood self would find motivation in this book to keep working toward self-love. RT: No, not weird at all. So much effort is put into how to “reach” people who are dealing with mental health issues, when a great deal of what people need is just to be listened to, and to see their experience reflected in the world. I think many people will see their lives reflected in your book. “Loss is Loss” touches on an element of that need for reflection: that question, “am I worthy?” (of treatment, support, love). We know that so many people struggle with their mental health in one way or another, yet there is still so much silence, so much looking over the fence at our neighbours, wondering and judging and comparing. You mentioned that writing these poems was a way to heal – were you always comfortable writing about anorexia? Could you talk a bit about your journey toward putting your experiences into these poems? How do Margaret’s sentiments resonate with you, looking back on “Loss is Loss” now? 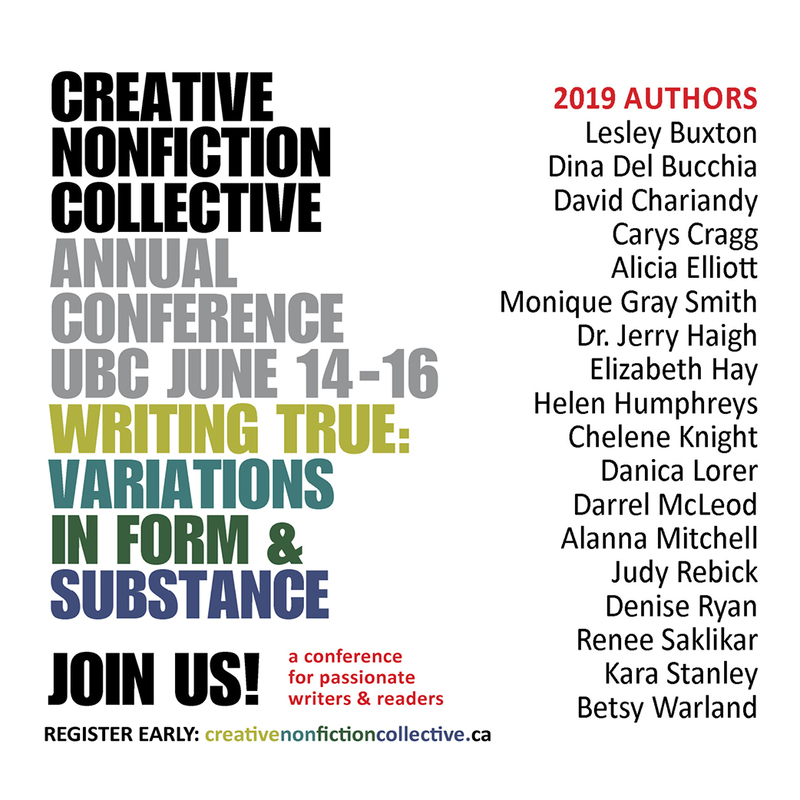 MT: I wasn’t always comfortable about writing about the body, celebratory or otherwise, and I think it took me a while to learn that even bodily shame, discomfort and disordered eating hold stories and are worth writing about, and could even become cathartic to write about. I think “Loss is Loss” attempts to capture the idea of not feeling worthy enough as a young person due to limited life experiences. But young people experience joy, pain, trauma and hardship as much as adults do, and the speaker’s friend, Margaret, shows she does have valid thoughts and life experience although she doesn’t seem to believe it herself. She loses her birthmark on her face, which feels strange for her, and she is on birth control for the first time. She also wants to be a writer but feels voiceless and discouraged. A big part of writing this book was going back into my adolescent mind-frame and seeing what I believed no one to care about, a time when maybe I felt voiceless, and subverting that as a sort of gift to myself and my childhood friends. RT: I like that idea of a book as a gift to yourself and your friends – an empowering reimagining. It speaks, though, to the trickiness in writing a book that lives in that space between autobiography and fiction: once the book is published, readers often assuming everything they read is (unsubverted) fact. I remember, after my first book came out, someone consoling me over a poem I’d written – about a loved one dying in a hospital – which was completely fictional. I didn’t have the heart to correct them! Do you have any trepidation in how people might respond to this book, especially people you grew up with, for those reasons (and compounded with the stigma still abounds around eating disorders)? If people have seen the book already, have any of their responses surprised you? MT: I am fortunate to have so many strong women and supporters around me who are relieved, excited and supportive that I’ve tried to navigate the body and eating disorders in this book. I guess the most interesting note I’ve received from my friends in the way of feedback is that they didn’t realize how sad the book would be—how sad the speaker feels in their own skin on her journey to body acceptance and reclamation. I’ve made some people close to me well up with certain poems, but they’ve also expressed needing an outlet for those particular tears in regards to bodily dissatisfaction, adolescence and early sexuality. RT: Isn’t it amazing how sad “sad” can feel when it’s spoken honestly, without any propping up? We all experience it inside ourselves, to greater or lesser effect at various times, but it still shocks when we encounter it laid out plainly on the page. It’s encouraging to see that more and more people are willing to write openly and truthfully about mental health in the way you have in This Will Be Good. It feels like we’re currently experiencing a wave of new books in this area. Did you have any inspirations or models (books or otherwise) in pursuing the themes in This Will Be Good? What role do you hope the book will serve for readers who might be struggling in similar ways? MT: A book of poetry that moves me that explores mental health is Broom Broom by Brecken Hancock. I also love Binary Star, a novel by Sarah Gerard that explores anorexia and substance abuse. They’re both brilliant, raw and exciting works. If anyone struggling with disordered eating, anxiety, self-doubt or self-hatred reads my collection, I hope they feel a sense of being held by a like-minded speaker, and encouraged to find their own personal avenue to seek healing. I hope it motivates more women and young girls to write their truth through poetry. RT: The poems in This Will Be Good touch upon the speaker being raised in a religious household (notably, the father importing holy water from a grotto and building a special dispenser for it in their house). Were you raised in a religious household? If so, what impact do you think that had on your interest in poetry, and on the nature of this book and its central themes? MT: I was raised in a very Catholic household and have since become an atheist. I think being raised in a certain belief system and constantly questioning that system led me to poetry. Poetry helped me raise my doubts and navigate where my personal, true values lie while still maintaining a sense of remembrance, and to my surprise, nostalgia at times, for the faith foundation in my childhood household. I am a ritual-oriented person and although I prefer poetry as my own ritual now, practicing faith was an encircling act in my early childhood that connected me to my family, whether or not I truly deeply believed in the prayers or concepts. RT: The poem “Rahila Corches” tells the story of the speaker looking for her great-great-grandmother’s grave – Rahila Corches being your real great-great-grandmother, after whom your new chapbook press, Rahila’s Ghost Press, is named. Why were you drawn to her, and her story, of those of all your ancestors? Why did you choose to name your new chapbook press after her? MT: My partner, Curtis LeBlanc, and I travelled to Saskatchewan a couple of years ago. He was researching his novel in Wilcox and I was researching my Romanian ancestry in Dysart. Through family history anthologies, I got really attached to Rahila Corches, my great-great-grandmother. She came to Canada with her husband and children in 1900. She died when she was twenty-six years old from unknown causes. In the St. George Romanian Orthodox Cemetery in Dysart, SK, her death is recorded in the parish registry as “extraordinary.” Her body isn’t in the cemetery despite claims to the contrary on all the cemetery records I researched. It isn’t there. I want to honour her and my ancestral routes with creation. The press isn’t necessarily about her but my story lies with her. RT: Speaking of the press, what do you have coming down the pipe over at RGP? And what might we expect next from you, in your own writing? MT: Rahila’s Ghost Press is in the process of publishing our second set of amazing authors—Ramna Safeer, Molly Cross-Blanchard and Meghan Harrison. Stay tuned! Myself, I just signed with an agency for my novel, The Birth Yard, so I am looking forward to switching gears into fiction as the project evolves. (But, I am still writing poems.) I also have some vows to write for my and Curtis LeBlanc’s fall wedding!